Over the next 4 weeks, British Gas has challenged me to use their new Remote Control Heating device to see how I get on and how well it can work for us as a family. 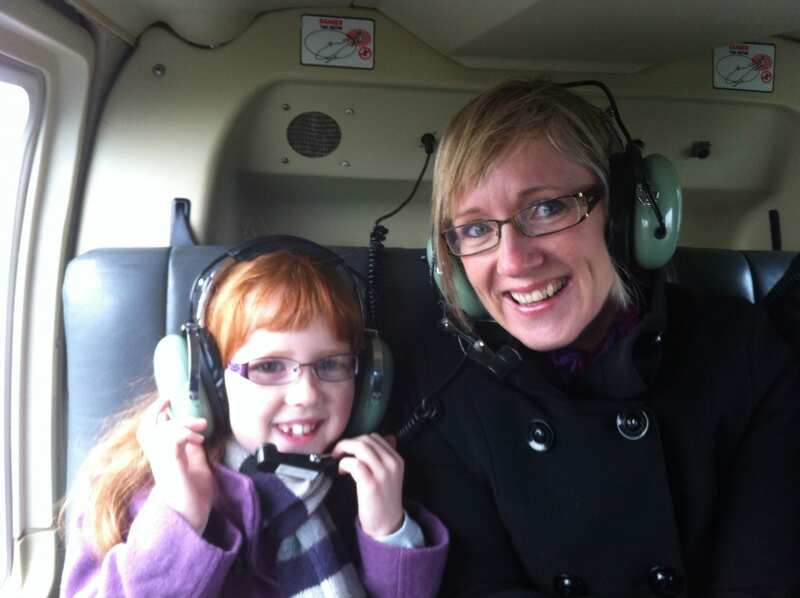 Just the other day, on a very chilly Sunday morning Miss E and I had the good fortune to take a Helicopter Ride over the skies of our local city. 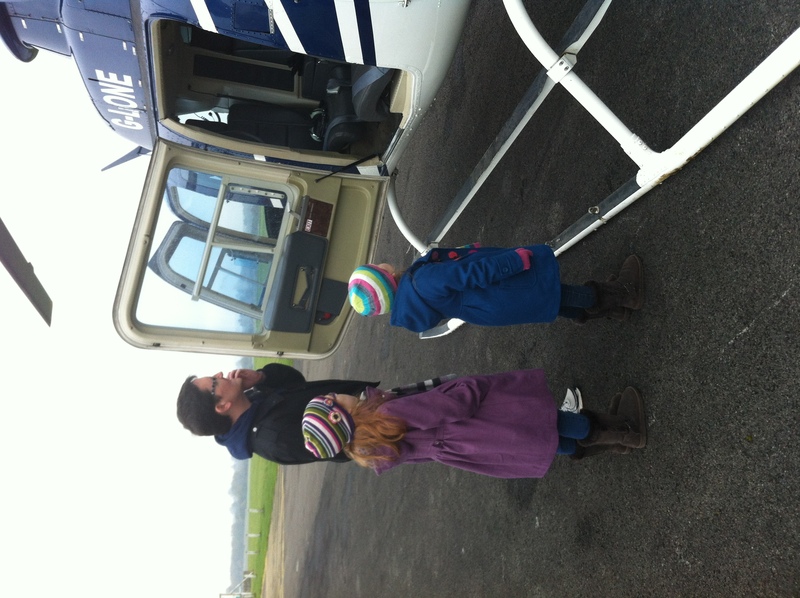 Now I think it’s pretty cool to have a helicopter ride when you’re just 8 years old. She thought so too. The whole family came out for the morning; spectators are welcome and we were all FREEZING! It really was the coldest morning of the season so far. We checked in and waited patiently for our flight which was just the third of the morning, and then took part in our safety briefing. Miss E was the only child there, and the company took great care of her, really making her feel special. Waiting to board the helicopter with the other passengers we stood shivering on the tarmac and couldn’t wait to get out of the bitter wind. Once on board, the staff made sure we were all buckled in, and sorted out Miss E with her headphones. I’d already explained that anything she said would be heard by EVERYONE inside so she chose to remain silent and gestured and signed to me during the whole flight. And then we were off. We felt the weightlessness as we took off, although not as severe as on board an aeroplane, and then we heard Miss E… and her giggles. She giggled with excitement as we rose higher and higher and had the broadest grin. 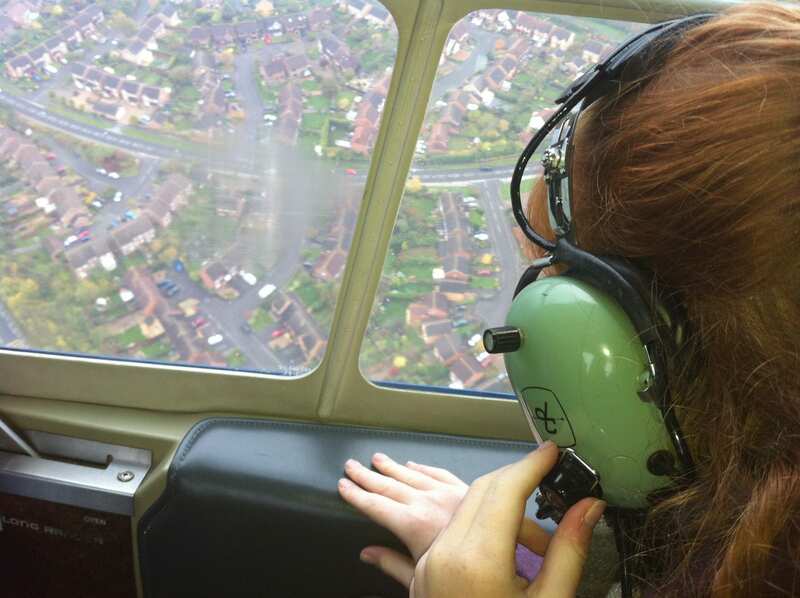 As we toured over landmarks of the city, she couldn’t take her eyes off the ground, pointing and staring all the while. We swooped and we swerved and then started the descent back down to the ground. It was over, but it was fabulous. What a treat and what an experience. And so then to the challenge. Could we get the house warm enough ready for our arrival home? I have an app installed on the phone which talks to a wireless hub via our broadband connection. This in turn then talks to the Thermostat and receiver installed on the boiler. I know it sounds complicated but it’s actually very simple once it’s up and running. So I switched the heating ‘ON’ from the phone and could even see the temperature in the house was only 16 degrees. I set it to a toasty 20 degs and we set off home after our fabulous thrill. Sure enough when we arrived the house was beautifully warm. The Remote Control Heating device means we aren’t wasting as much energy as we used to. 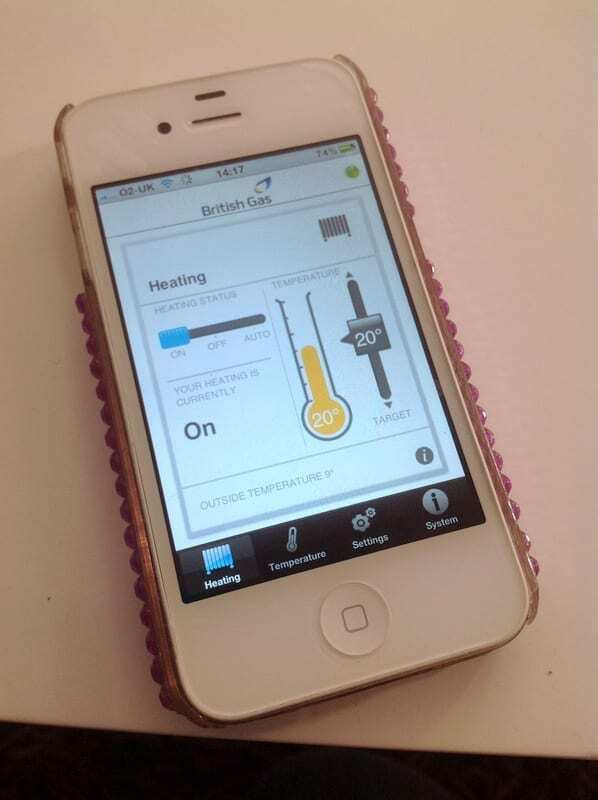 We can let the system know when we want it to come on after being out for periods of time, or we can check the temperature of the house when we’re away and switch the heating on if we want to warm the place up a bit. It means we haven’t got the heating on for long period just keeping it warm, in case it gets too cold. It has taken us a few weeks to get used to the device. It needed a reset the other day as it kept going offline and we just couldn’t get it to work at all; that was a few days of coming home to a cold house! But now it’s working properly it works really well. The thermostat isn’t as pretty as our original one, but I guess that’s something that you can live with for the sake of the convenience and cost saving that the device allows you. Let’s see how it continues to work for us until British Gas send us on our next outing! British Gas has given us the Remote Control Heating system for the purposes of this challenge. 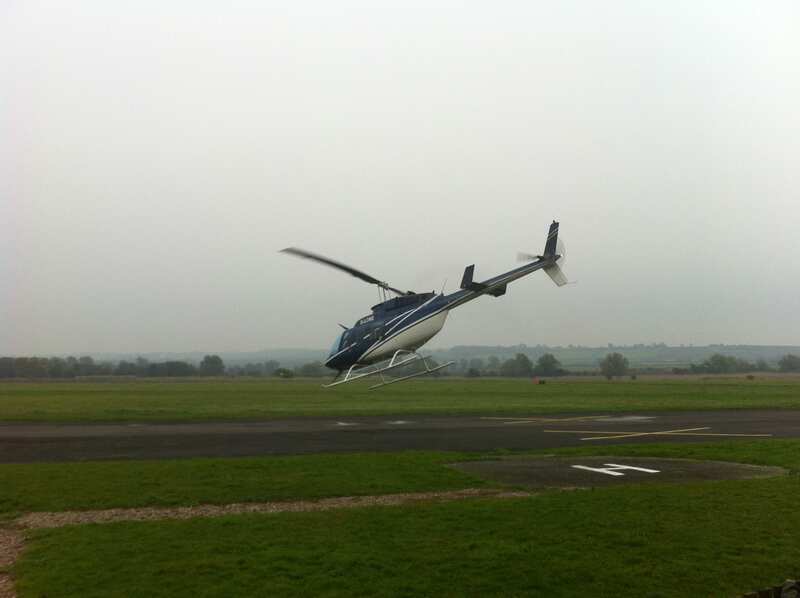 The Helicopter Ride for 2 was a treat provided as part of the 4 week challenge. The comments about the device are honest and genuine however. sounds a fab device, and so more ecconomical 🙂 great heli trip too..
Wow, what a great experience and lovely to go home to a warm house!! Love the picture of ‘giggly’ Miss E.
so if we were away for what we thought would be a frost free half term and heard it was freezing weather at home we could save ourselves the tiresome bother of coming home to burst pipes?! Wow what an adventure! Love the sound of coming home to a toasty house too, very clever! This is just so cool! I know it’s daft, but I’m actually ridiculously excited about the BG gadget, how lovely to have a warm house for when you get back! There’s nothing worse than a spoiled vacation. Be positive, with Sundance Excursions your vacation would be perfect!